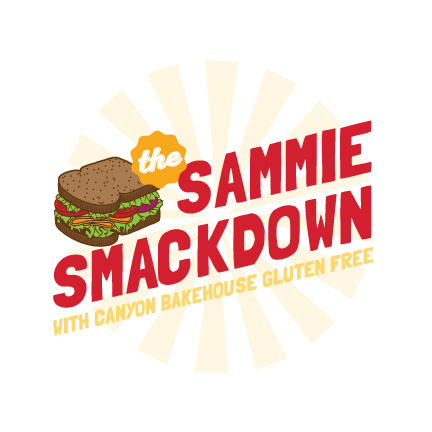 Canyon Bakehouse®, a Colorado-based gluten-free artisan bakery, is hosting a Sammie Smackdown campaign on social media. From July 20-August 3, five popular gluten-free bloggers will create their tastiest sandwich ever to compete for fan votes. The blogger with the winning sandwich will receive a $5,000 donation to the charity of her choice. During the two-week campaign, fans can vote once a day. If they sign up for Canyon’s newsletter or if they share the campaign via the Canyon Bakehouse website to their social pages, they will receive additional votes for their favorite sandwich. Fans will also be entered to win a year supply of Canyon products if they sign up for the newsletter. Canyon Bakehouse is a dedicated gluten-free bakery located in Loveland, Colo. The family-owned bakery opened for business in 2009, recognizing the need for delicious gluten-free products that combine great flavor with soft texture, 100 percent whole grains and healthy, real food ingredients. The bakehouse has continued to expand its distribution, including more than 8,000 stores nationwide. The award-winning breads have been featured in Prevention's "100 Cleanest Packaged Food Awards" and Delicious Living's "Best Bite Awards."